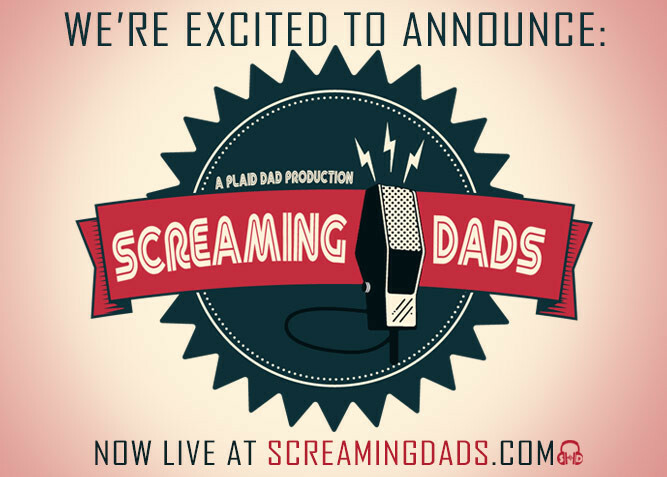 We are super excited to announce our new Podcast, ScreamingDads.com! We’ve been planning this for the past few months. We’ve had technology hurdles to conquer, schedules to work around – all manner of struggles, but we came out the other side. Not only are we launching ScreamingDads, but we will also be rolling out a Podcast from Aaron’s very own daughter Annagrace, entitled ‘TeenNerdTalk’, this June. We titled our inaugural episode ‘Power at 1/2 Scream’, because we don’t feel we’re 100% amped up to full ScreamingDad mode yet. We considered filing this away in the lock-box of obscurity, but then thought. “No. Let people watch us grow. Let them see us come into our own.” Much like the pilots of some of our favorite TV shows, this one shows you it has good bones to build on. I mean, Elaine wasn’t in the first episode of ‘Seinfeld’, you know? There’s room to grow! So, we invite you to listen to and SHARE our podcast. We’re offering it to you in both Audio AND Video mode. We look forward to many more great episodes to come! Check out ScreamingDads.com or watch and/listen below. Stephen Curry, An Old Hoop, and Lessons From His DadM*A*S*H vs Mash-Up - What will TV look like to our kids?